Putting a nursery together can be stressful. Whether you know the gender of your baby and plan to decorate his or her room accordingly or not, I thought I’d share some tips to get the most bang for your buck in terms of money and organization. 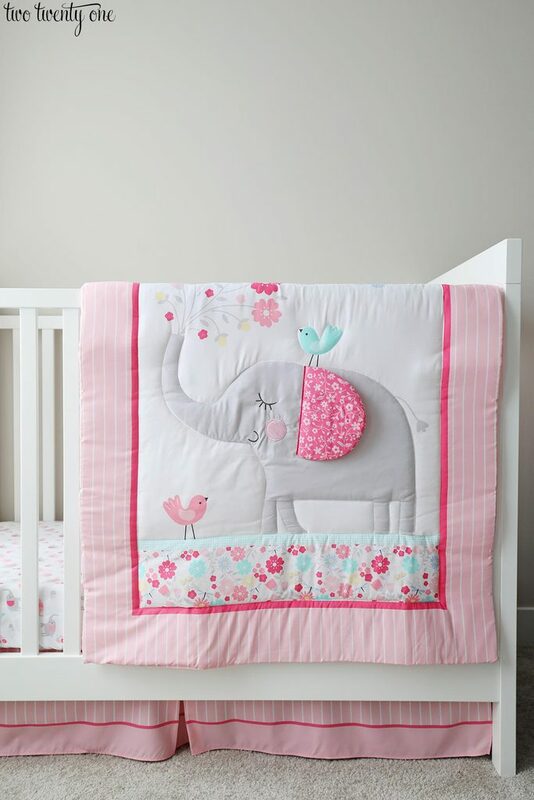 You can find a wide assortment of trendy nursery items from Parent’s Choice, available only at Walmart. Invest in some coordinating, neutral-colored fitted Parent’s Choice fitted crib sheets. Babies spit up and have accidents, so it’s always a good idea to have 2-3 extra crib sheets on hand just in case. One thing I love about crib skirts is the ability to hide things under the crib. 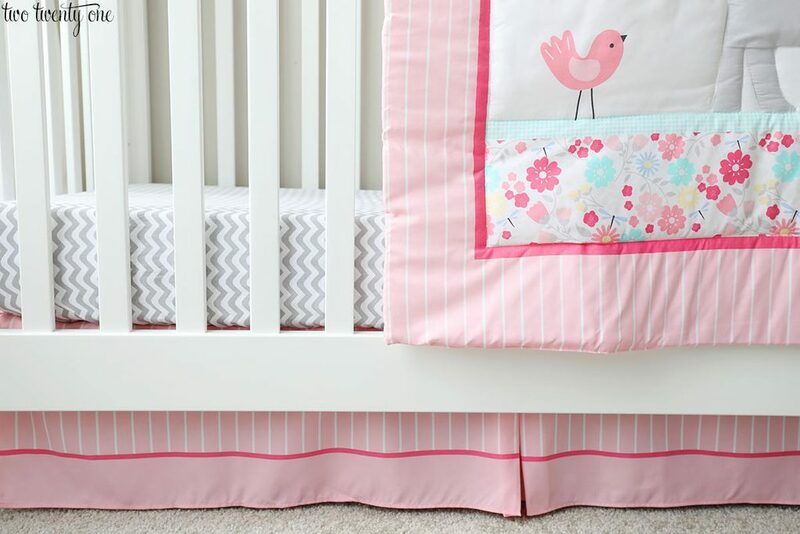 You can store things under a crib without a crib skirt, but the skirt helps hide everything. 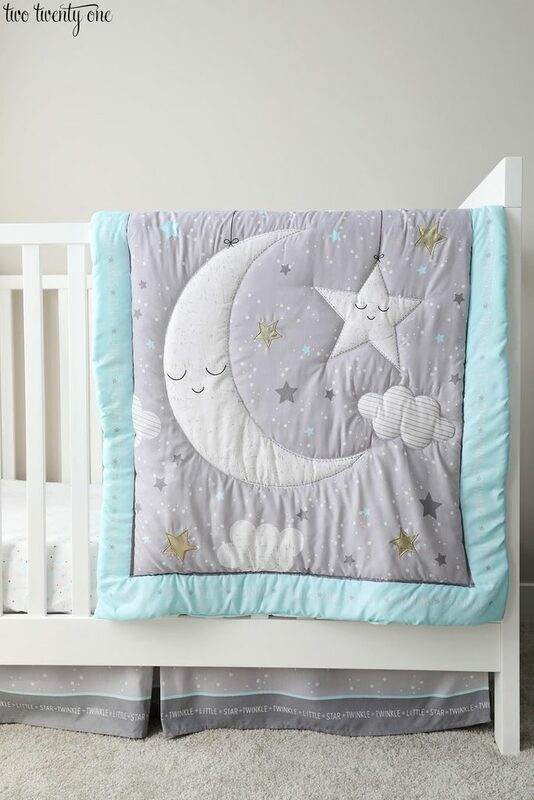 Since babies shouldn’t sleep with anything in the crib, store the decorative crib comforter under the crib when not in use. Remember the ABCs of safe sleeping– alone, back, crib. Visit U.S. Consumer Product Safety Commission (CPSC) to learn more about product safety standards or product recalls. The crib comforter isn’t the only thing you can store under the crib. Store items that aren’t needed daily, like extra baby blankets, receiving blankets, and fitted crib sheets, in baskets under the crib. 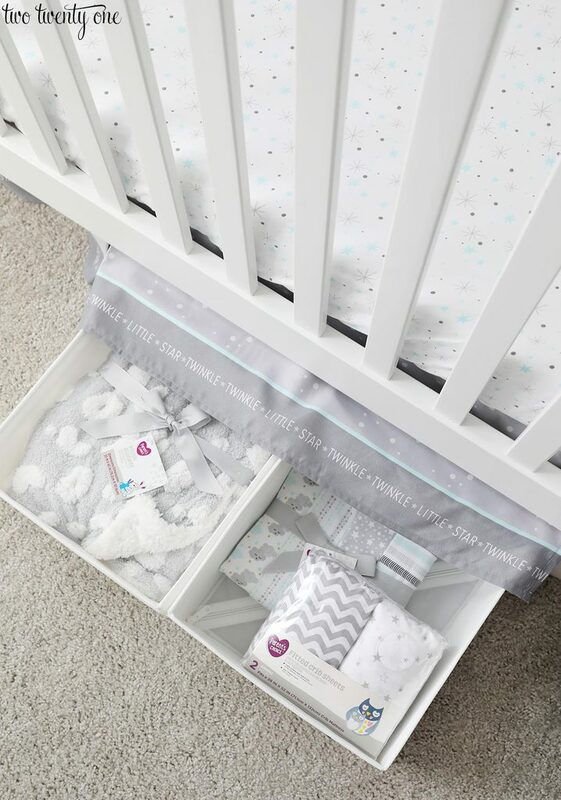 The baskets will help keep you organized, and they slide in and out from under the crib with ease. Take advantage of all the precious real estate in a nursery– babies come with a lot of stuff! Looking to tone down all the pink (or blue)? Swap in some neutral-colored accessories. 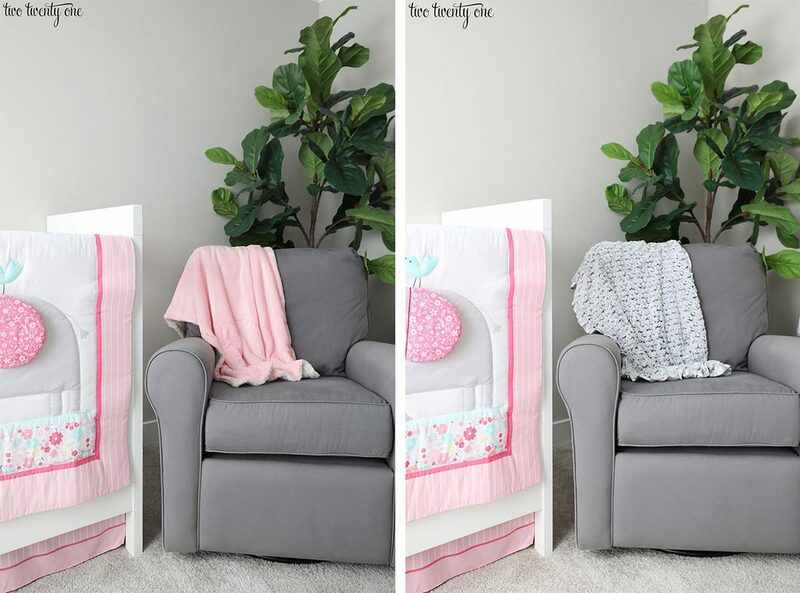 And don’t forget to add some visual interest to the space by working in some textured items, like this Parent’s Choice rosette baby blanket. When it comes to accent colors, draw from a main piece in the room, like the crib comforter. With this specific comforter, you could use dark pink, light pink, robin’s egg blue, light blue, yellow, white, and gray, which is quite the array to choose from. If you plan on having more than one child, I suggest going with neutral-colored furniture. You can never go wrong with white or gray. This Parent’s Choice Twinkle Twinkle Little Star bedding set is great because it’s fairly gender neutral. Pinks can be added to the room to make it more girly. Or you can add more blue, gold, and gray items to the room if it’s a boy. Neutral-colored fitted sheets are great because they can work with girl or boy nursery. 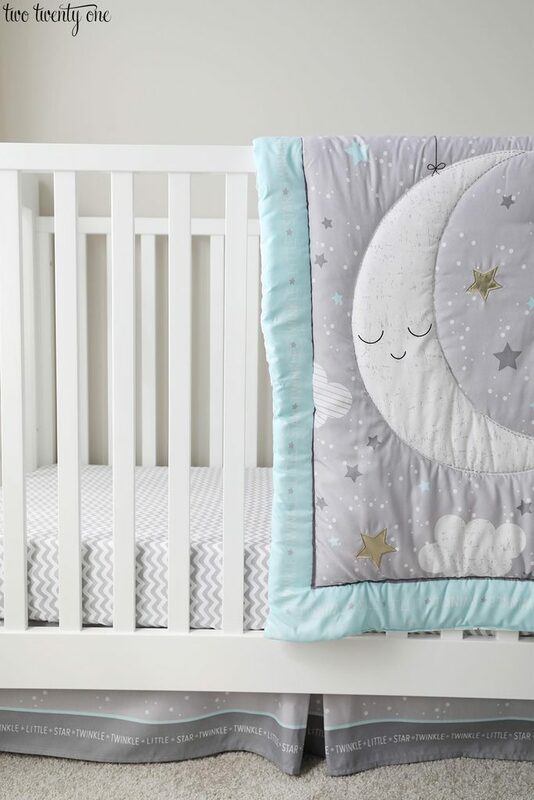 So if you have a girl and then a boy, you can still use those gray crib sheets — getting your money’s worth. And you can’t go wrong with solids or prints. I hope you found these tips to be helpful as you put together your baby’s nursery. Happy nesting! 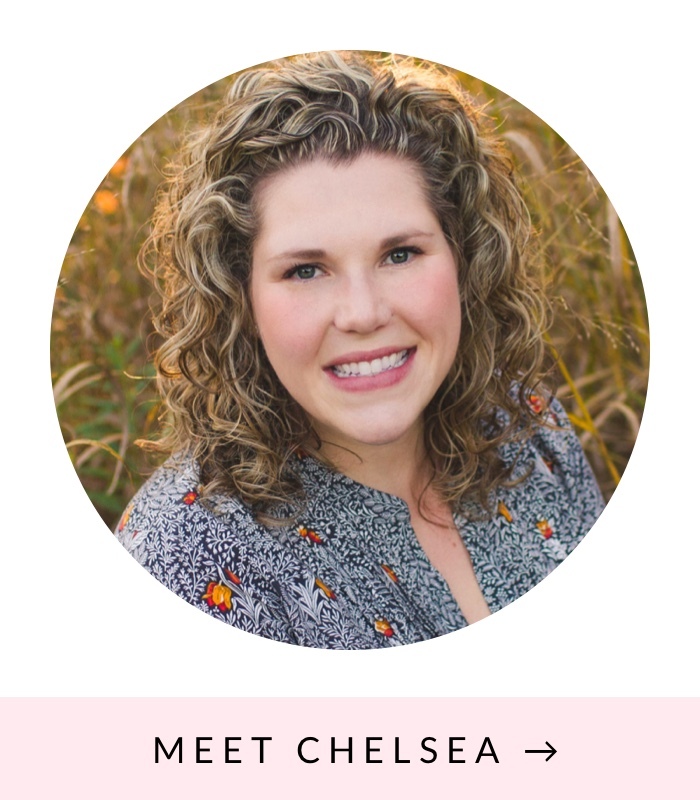 Great tips, Chelsea! I love the passion that you load in your articles. And the pictures are so well done! I would like to read more about nursery on your site. Best wishes! Are you ever going to get back to blogging about your own family or is everything going to be a sponsored post for now on?